The three female members of Spokane City Council had a bake sale yesterday to benefit the Women & Children's Free Restaurant, a nonprofit that serves women and children in need. 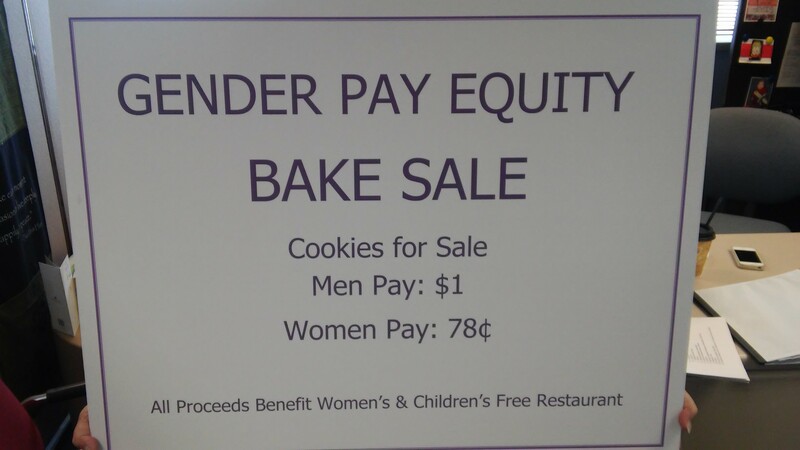 But because I am male, I had to pay a full dollar for my store-bought white chocolate chip cookie. Women only had to pay 78 cents. The three female members of Spokane City Council held a decidedly unequal bake sale. The point of the event wasn’t just to raise funds for a nonprofit using a manifestly unfair bake sale, but to also call attention to what the female trio of council members says is a manifestly unfair situation: Women are paid less than men in both the public and private sectors in Spokane. According to their figures, a woman working for the City of Spokane makes $11,614 less than a man on average. Women, who make up about half of the city’s population, only account for about a quarter of the city’s workforce. In Spokane’s private sector, a woman will make $9,124 less over the course of a year than a man with similar qualifications. When race is factored in, the numbers look even less equitable. To start fixing the situation, the three female members of city council, Candace Mumm, Karen Stratton and Amber Waldref, announced that they will introduce a resolution that to create a task force that will look into pay gender and racial pay gaps in the city. The task force will be comprised of 17 representatives from various unions, the city council, the mayor's office, business associations and ethnic groups, along with a couple of academics specializing in gender studies and economics, respectively. After meeting for six months, the task force will produce a report analyzing the issue that will include recommendations on how to decrease gender and race-based pay disparities in the city. “The whole purpose is to discuss the inequity in wages with the whole community,” says Stratton, who hopes the work of the task force will eventually close the gap in the private sector as well. 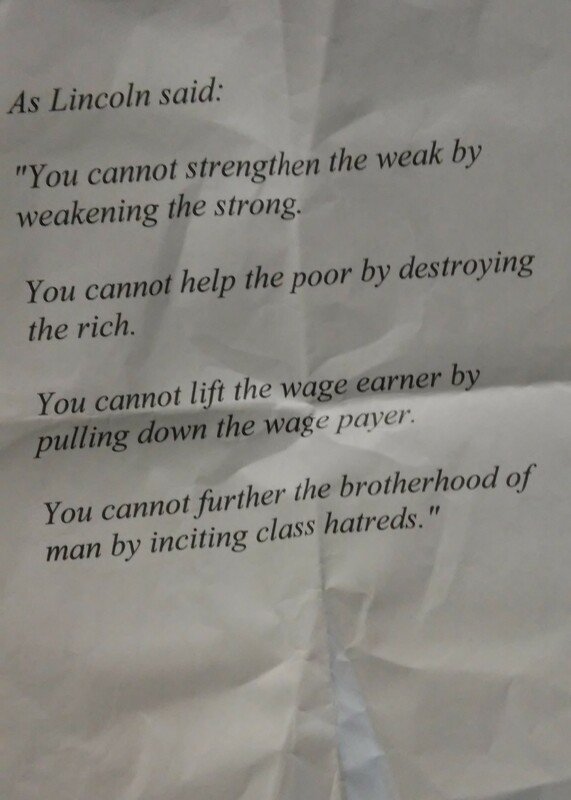 On his way out of City Hall, Councilman Mike Fagan handed me what he referred to as his “dissent” before hurrying out. Of the city's highest paid employees, only a handful are women. Even fewer are minorities. What does it take to fix that?